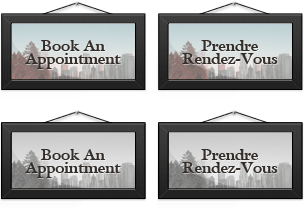 At Dr. Shawn Lee Dental, we strive to provide all our Vernon and area patients with comfortable and relaxing appointments. Our experienced and caring staff want to exceed your expectations for professional results and timely, comfortable appointments. We appreciate the confidence that our patients have shown in us! Dr.Shawn Lee has been an established dentist serving clients in Vernon and area since 1984. He graduated from the University of Alberta with a Doctorate of Dental Surgery and also has a Bachelor of Science Degree and Education Degree in French education. He has served as President of the local Vernon Dental Association, as well as with the BC College of Dental Surgeons as both Thompson Okanagan representative and on the Continuing Education and Quality Assurance Committees. 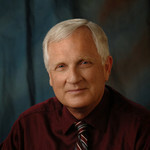 Dr. Lee has also served as a Vernon City Councillor and as President of the Arts Council of the North Okanagan. He is also sponsor of Vernon's winning Women's Masters soccer team. (Go Dr. Lee Dental Flossers!) He has also been active in his local church community, acting as a lay Bishop, youth and adult teacher, and in numerous leadership roles. He and his wife Jocelyn have raised their six children here in the sunny Okanagan, enjoying skiing, biking, running and golf. Dr. Lee (Shawn) loves maintaining healthy and beautiful smiles but he especially enjoys meeting the many wonderful people he has come to know as patients over the years.